Norman Lock and Son Funeral Service is an independent family owned and managed funeral home based in the rural village of Black Torrington. The Lock family has been serving the local community for more than 95 years and has conducted thousands of funerals. The origins of the family business can be traced back to the late 19th century in Shebbear, where Wentworth Lock (Wenty to his friends) lived and worked as the local carpenter. In those times, it was traditional for families to look after their own funeral arrangements. One of Wenty’s tasks was to make coffins for local families, but as time went by, he realised that people needed more help. His son Norman, who had also followed his father into the family’s traditional trade, began to work with Wenty, organising local funerals and the Family Business was born. In those days, there was no hearse, so coffins were sometimes carried several miles to church by local men. A time keeper made sure that the cortege arrived at precisely the correct time. Norman Lock opened the present premises in Black Torrington in the early 1970s. Chris Lock, Norman’s son followed his father into the business and with both father and son living in the village, the family have always been able to ensure a personal service and a comforting welcome to visitors to the chapel of rest. In 2008, Chris’ daughter- Kate, joined the family business being the 4th generation of Lock to become a Funeral Director. 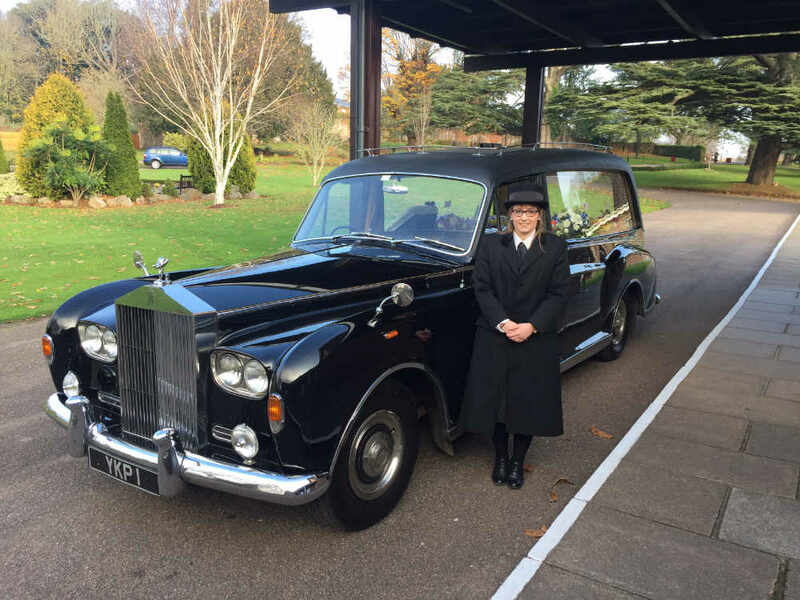 Kate qualified, by studying and gaining her Diploma in Funeral Directing (Dip FD) in 2012 and was the youngest qualified Funeral Director in the South West at that time. She has recently studied & passed all examinations set by the British Institute of Embalmers (B.I.E) becoming a qualified Embalmer. Kate has also learnt from the years of experience from her father Chris & Grandfather Norman, thereby ensuring that the family tradition of care and professionalism is passed down the generations. Sadly, Norman passed away in April 2017 but the family business is still being run by Chris & Kate.